If you are likely to attend the Mehendi (henna) ceremony at your friend’s wedding, think again. The intricate, hand stenciled designs could give you something you didn’t expect – an allergic reaction like redness, inflammation and intense itching. 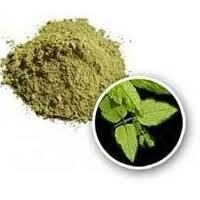 Natural henna powder has been used since thousands of years and is perfectly safe for the skin. Henna powder is usually mixed with water or tea to create a paste that gives the tattoos their distinctive reddish-brown or orange color. The allergies associated with pure henna usage are extremely rare. Mehendi tattoos are temporary though, and fade away in 2-3 weeks. However as no needles are used here, this is much safer than the permanent tattoos. But it is not entirely risk-free as many people tend to believe and allergies can occur when other substances are combined with it. You have to ask the artist before getting tattooed about the exact ingredients used in the mehendi paste. Sometimes the artists mix a chemical para-phenylene diamine (PPD) used in hair dyes to get a darker shade which makes the tattoos last for several months. Called as black mehendi, this can be harmful for your skin. The research conducted by Dr Bjorn Hausen, of the Dermatological Centre, in Buxtehude, Germany, has shown that henna containing PPD causes contact dermatitis and makes the skin swollen, red and itchy. He adds that the tattooed skin could also become hypersensitive after the tattoo fades off. That’s why it is better to avoid black Mehendi. Though pure Mehendi is quite safe, some persons might experience an itching sensation if lemon juice is used as an ingredient in the paste; this is usually done to get a darker shade. If you are doubtful of the contents in the Mehendi paste, avoid getting tattooed. Getting a henna tattoo from a street-side shop or buying a mehendi cone from such shops is always risky as you never know of the ingredients that are mixed with it. Always take a skin test before tattooing if you have never tried it before. This is what the skin specialists recommend. Apply a small amount of it to the hidden area of the skin and wait for at least 48 hours to see whether a reaction occurs. If redness or itching develops after a mehendi tattoo, call a doctor immediately. Another way of drawing the henna is using a toothpick, it gives you a lot of control and accuracy in whatever u want to draw. Also adding a few drops of lemon on the tattoo after it is all dry will help make it last more. Good read. Natural henna tattoo is safe in general but mixing PPD seems to ruin it all. Thanks for sharing.